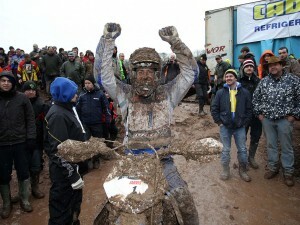 So cool to see local Salzburg MX hero Matthias Walkner take the stage 3 win!! 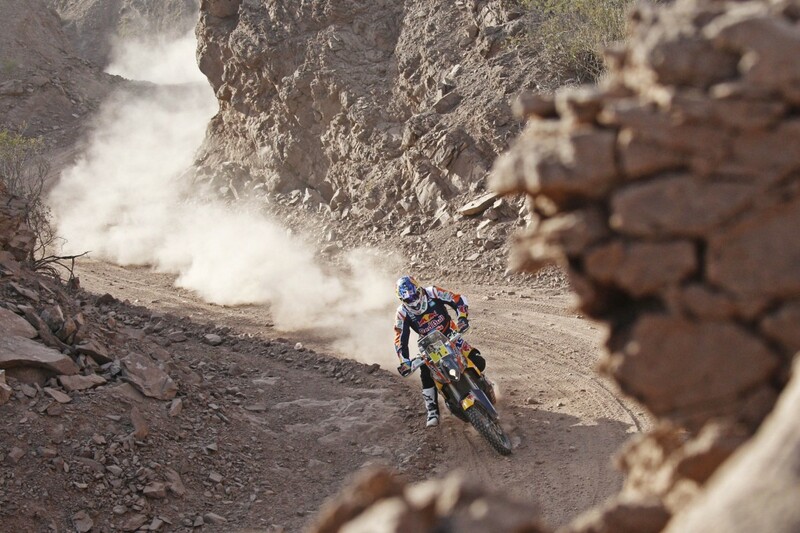 Dakar newcomer Matthias Walkner of Austria sealed victory in Stage Three of the Dakar Rally, an impressive result for the former MX3 World Champion. 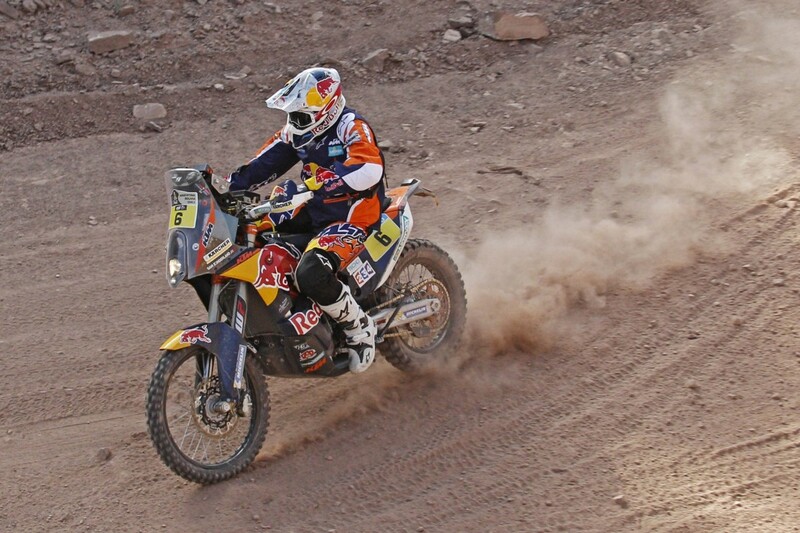 Walkner, a KTM-supported rider, is the first Austrian to ride in the Dakar since Heinz Kinigadner in the 1990s. 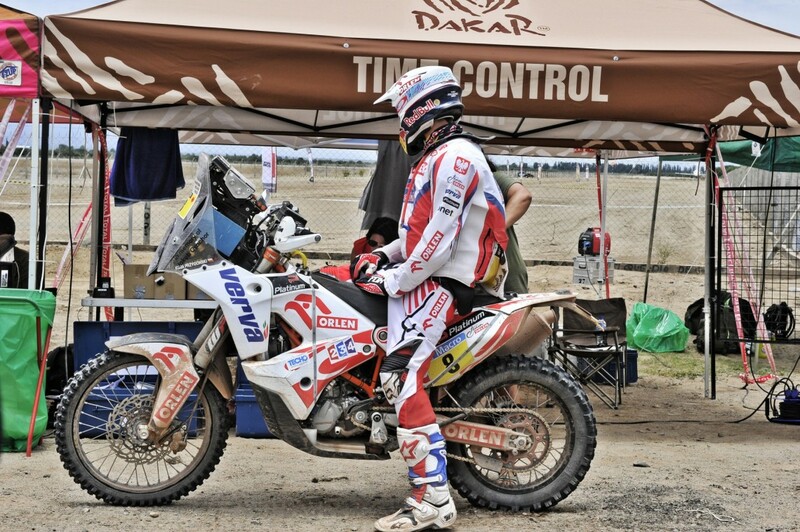 Walkner completed the stage in two hours 34.28, just 00.40 ahead of KTM Factory rider Marc Coma and 1.53 ahead of current overall leader Joan Barreda. 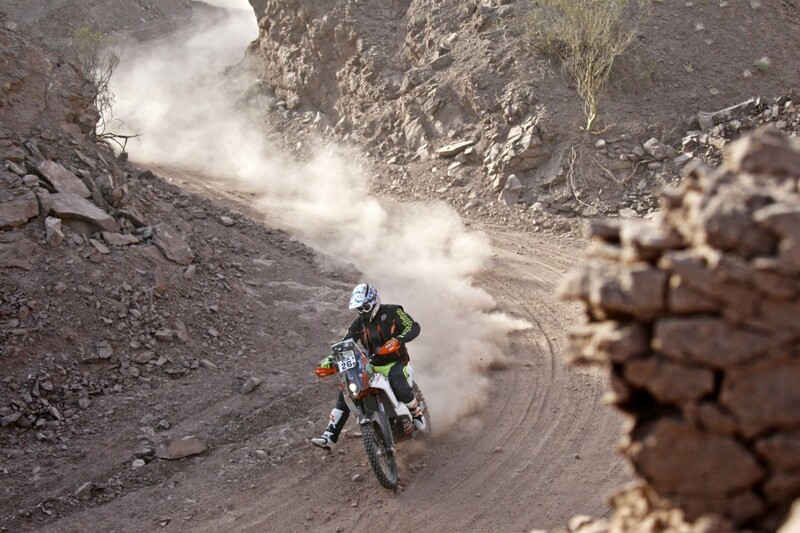 During the day race officials decided to shorten the stage that was planned to take riders from San Juan to Chilecito – a total distance of 657 km, including 220 km of timed special. This was in response to Monday’s Stage Two having been judged by even seasoned professionals as ‘difficult’. 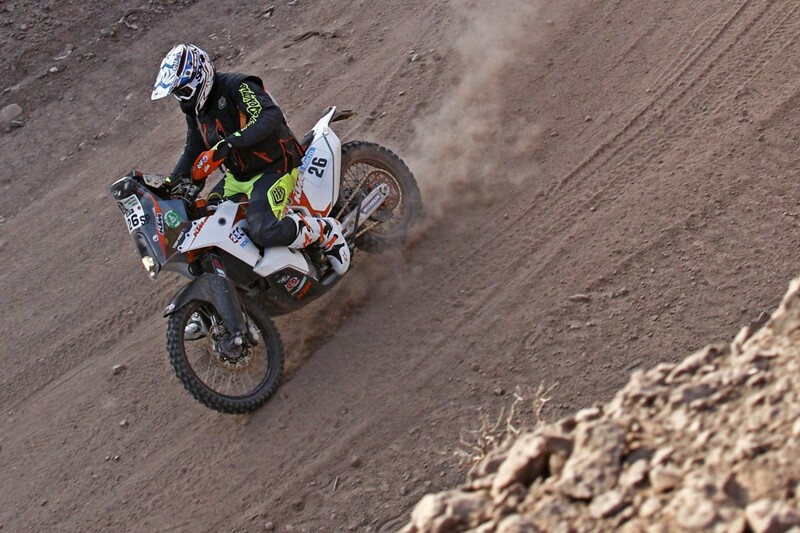 Fourth across the finish line was Australia’s desert racer Toby Price, like Walkner making his first appearance in the Dakar Rally as a KTM-supported rider. 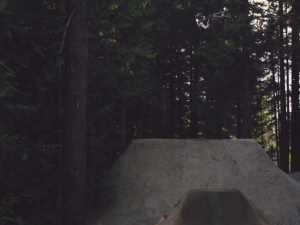 Price continues to be impressive and was only 2 minutes 45 behind Walkner. 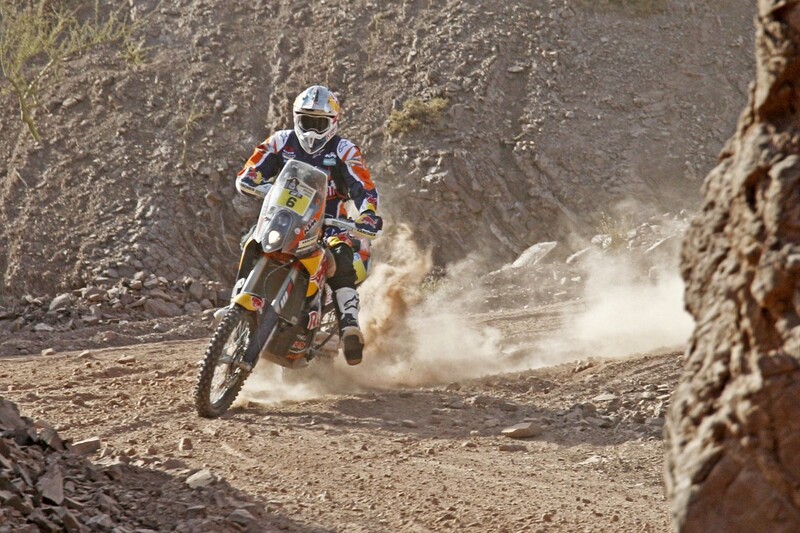 KTM’s other factory riders Ruben Faria, Jordi Viladoms and Sam Sunderland finished 7-9-11. 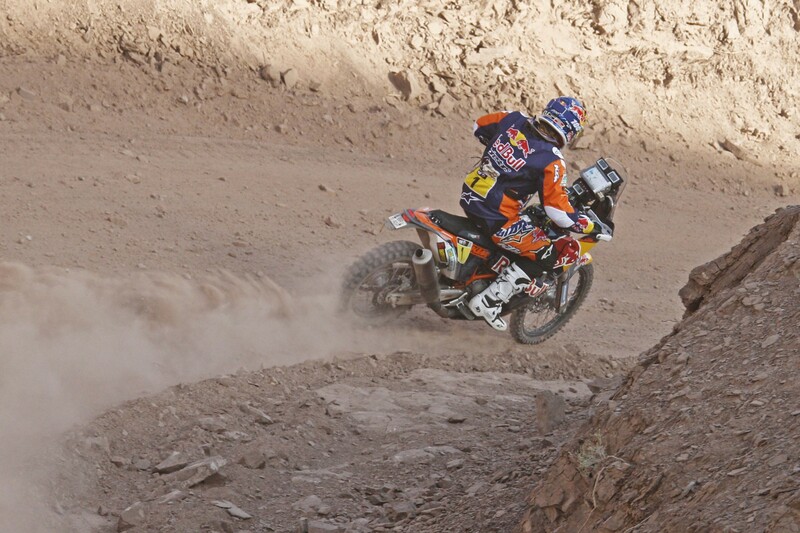 The top 20 riders all finished within a 10-minute margin. 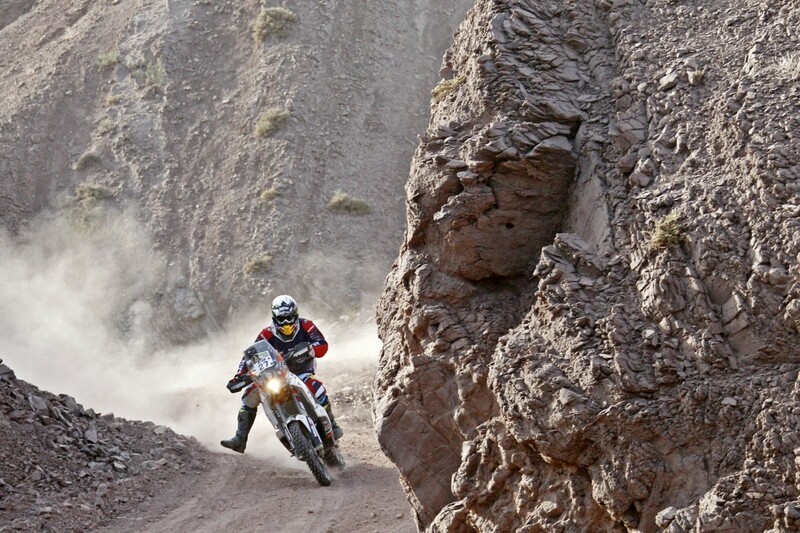 The stage, said to be one of the most scenic in this year’s rally, took riders northwards along the line of the Andes. 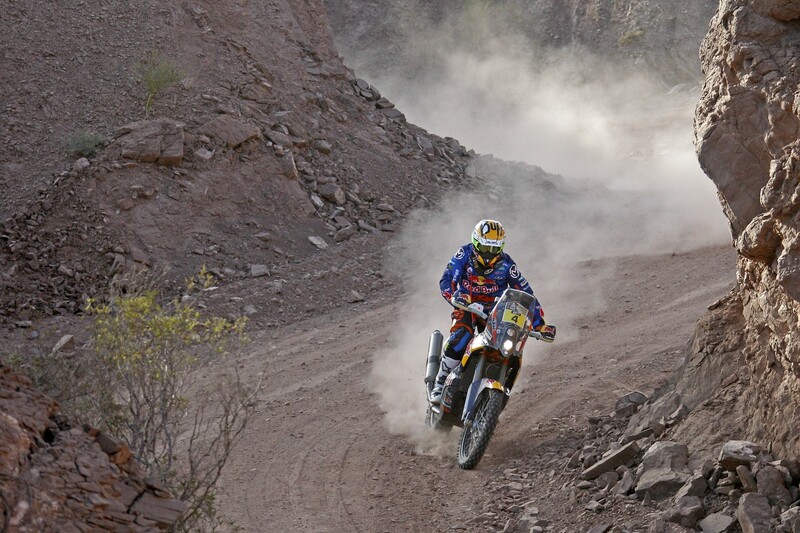 They had to negotiate their way through red earth tracks and canyons and spent much of their time in extremely rocky riverbeds. 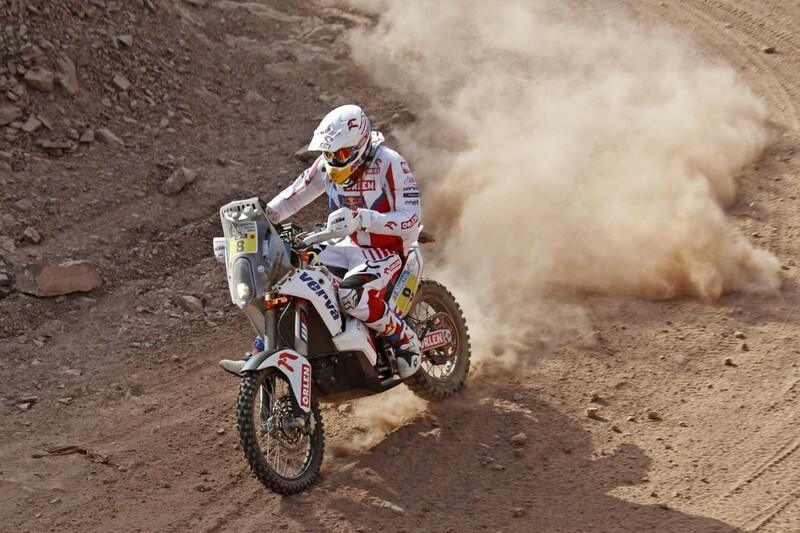 After Stage Three, Barreda of Spain and Portugal’s Paolo Goncalves continue to lead the standings. Walkner moves up to third, leading in five KTM riders – Coma, Faria, Price and Viladoms, who at seventh is currently 14.07 minutes off the winning pace. 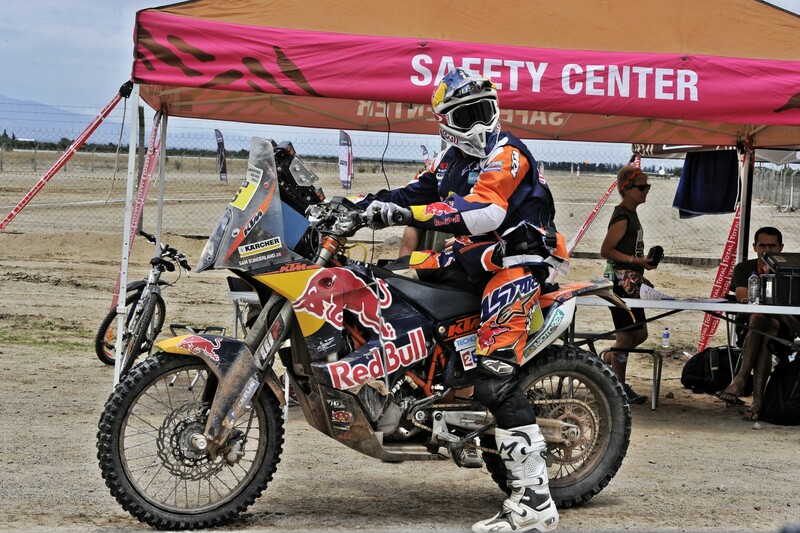 Red Bull KTM Factory Team riders and KTM-supported riders are all on the KTM 450 RALLY. Stage Four sees the route leave Argentina and enter Chile as riders head from Chilecito to Copiapó. 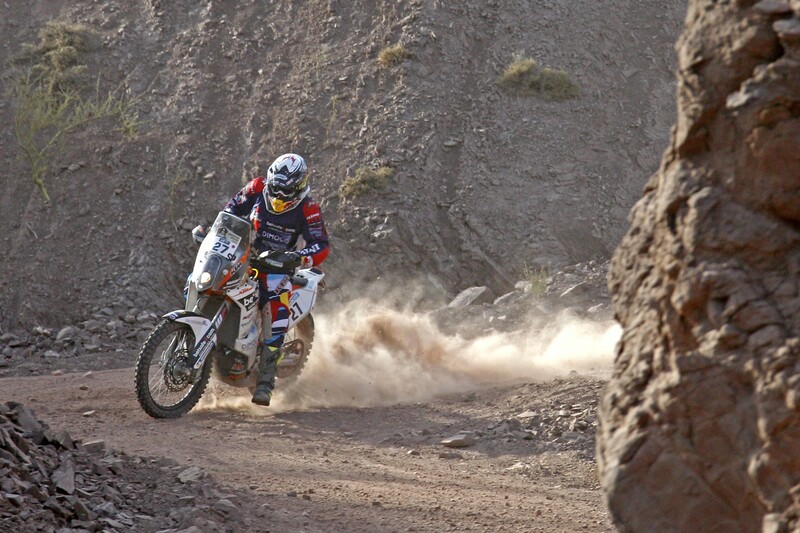 They have to travel 909 km, 315 km of timed special and the characteristics and geography will change dramatically as they enter the Atacama Desert and have to attack the dunes.